Like in any other technical industry also cycling is doing a huge progress every year. Facts that components are working and frame is tough are already taken as commonplace. Details make the difference. Also in 2015 collection we are coming with lot of technological news. System of rear wheel suspending, new racing component sets on road bikes, our new saddle Fenix for ladies cross and mtb, antislip pedals or handlebars Spank, which were awarded on the biggest Europe bicycle show Eurobike! Have a look what is new in each category in 2015! PATRIOT model series ideally reflect the latest requirements of the modern trail and enduro riding style. Its platform is a frame (for 27.5" wheels only), using proprietary four-pivot technology, the DLP® (Drive Link Pivot), with original frame geometry developed for trail and enduro style of riding. 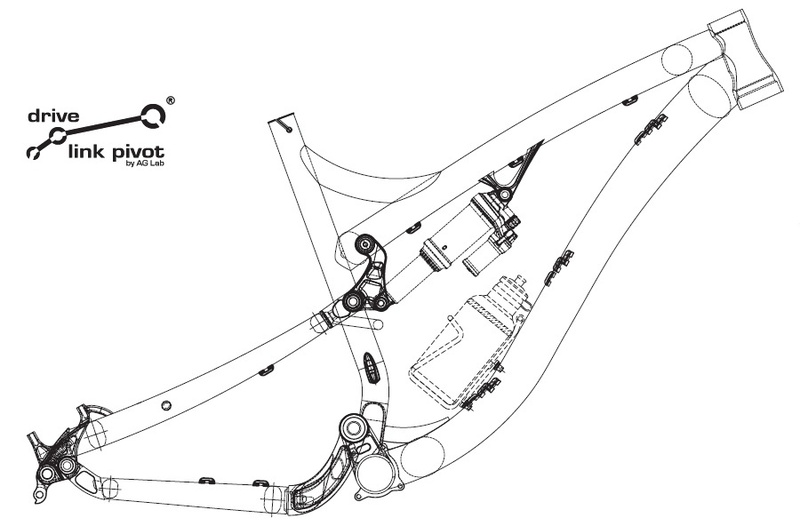 The linkage and pivot positions shift the “virtual pivot” of the suspension high above the pedal centre, thus reducing the rear triangle swaying when pedaling. This results in an optimum ratio between sensitivity to bumps and adequate elimination of the impact of pedaling on the rear triangle swaying. Besides being sensitive even while braking, the DLP® suspension of the rear triangle is characterised by minimal pedal kickback (when the cranks kick back during the shock absorber compression) and chain length extension or reduction. Another advantage of DLP® is a set up of shock absorber with much lower air pressure or the use of softer springs. However, it almost eliminated the use of external functions of shock absorber to increase their own compression as Propedal and others like it – especially true when pedaling seated. The NINJA DH and NINJA FR represent the model series designed for downhill, freeride and bikepark riding. The foundation is a very low = playful frame with original geometry developed for extreme riding. The rear wheel suspension uses proprietary four-pivot technology, the DLP® (Drive Link Pivot). Both model series use a top linkage with forward travel and an almost horizontal shock absorber position. This design achieves high shock absorbing performance even for minor vibrations as well as progressive hardening of the shock absorber towards the end (the last 20%) of the rear wheel travel. Besides being sensitive even while braking, the DLP® suspension of the rear triangle is characterised by minimal pedal kickback (when the cranks kick back during the shock absorber compression) and chain length extension or reduction. This is a system based on the four-pivot mechanism principle. One of the major and unique ideas that were applied in the complete DLP® suspension system was placing a DLP® link (pivot – pos. L) above and in front of the rear wheel axle (rear wheel axle – pos. D). The link together with the position of the main pivot (main pivot of the rear triangle – pos. P) and the linkage geometry create a virtual pivot point path throughout the travel. This path is one of the basic parameters to achieve the required suspension properties (kinematics) of the rear triangle. All frames were 100% developed by top dirt and street riders around the world with dedication to deliver the best quality in terms of strength, weight and geometry. It took many broken prototype frames to find the best balance among all mentioned crucial attributes. 20", 24" or 26" wheel size frames are available. Premium custom butted 4130 cromoly steel tubing with thermal treatment of head tube, BB shell and drop outs. A seemingly unimportant detail like where the brake and gear shift cables run may have a negative impact on the functionality of the bike’s primary mechanisms. Based on long-term practical testing and computer simulation, we have chosen the ideal cable routing for each of its frame categories with respect to its size, type and purpose. Adventure, overcoming oneself, a classical product in the form of a cromoly steel frame, wide tires, disc brakes and mainly fun... This is precisely the new bicycle category offered by the Ronin “road” bicycle with the elements of a terrain and the Su-Mo “snow” bicycle that is not only a winter special. Thanks to our original geometry, both bicycles offer exquisite riding regardless of whether it is winter or summer, which has become addictive for many bikers! A seemingly unimportant detail like where the brake and gear shift cables run may have a negative impact on the functionality of the bike’s primary mechanisms. Based on long-term practical testing and computer simulation, Author has chosen the ideal cable routing for each of its frame categories with respect to its size, type and purpose. 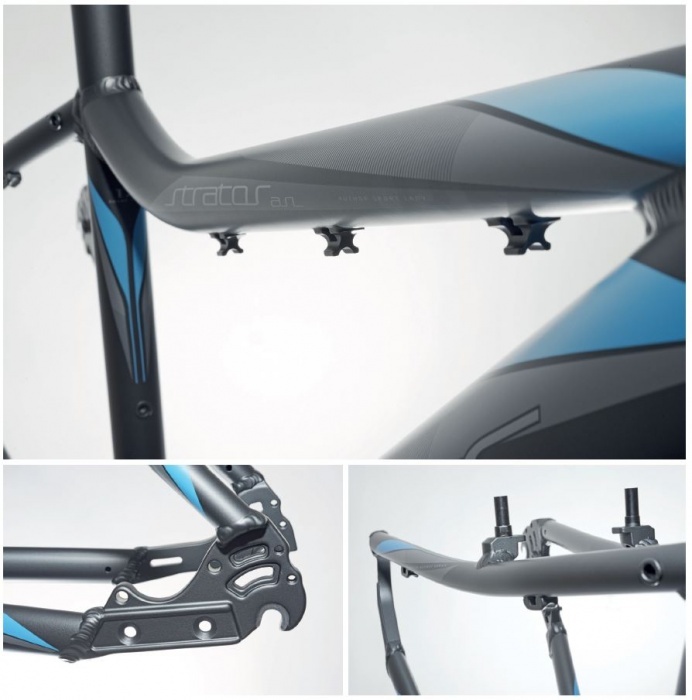 For model year 2016 we are going to use our 3rd generation of AUTHOR carbon road frame’s platform. We will use it for models CHARISMA 77, 66 and CHARISMA 55 in different strength and quality carbon material levels. For model year 2014 we came with a new alloy frame’s platform for road bikes. We will stay with this frame also for next year. The goal of this was to come up with a new frame’s geometry which would satisfy beginners and and semiadvanced road riders. To get the lowest frame’s weight we will use on all AURA models triple butted alloy 6061 material. AURA is an alloy frame’s platform for road bikes. The goal of this was to come up with a new frame’s geometry which would satisfy beginners and and semiadvanced road riders. To get the lowest frame’s weight we will use on models AURA 55, AURA 44, AURA 33 and AURA 22 triple butted alloy 6061 material. measured from BB center into S/T top. For model year 2016 we are coming with the modification of AURA’s frame platform. This new upgraded version will be ready for road disc brakes and we will call it AURA DISC. Frame’s geometry, which is made to satisfy beginners and and semiadvanced road riders, will remain the same as AURA’s as well as frame sizes. But from now on customers will be able to use hydraulic road brakes on AURA 55 DISC or mechanical disc brakes on AURA 44 DISC model. We offer this AURA DISC frame’s platform in 6 sizes : 480, 500, 520, 540, 560 a 580 mm. Also here the frame size means length of the seat tube measured from BB center into S/T top. A hard tail carbon frame designated specifically for the 29" wheels is made again using the AUTHOR MONOCOQUE CARBON TECHNOLOGY. It is therefore the connection of front triangle with chain and seat stay to form a single-piece frame monocoque. Models MAGNUM 29, SECTOR 29, REVOLT 29 and MODUS 29 are offered in 3 sizes: 17, 19 and 21". For model year 2016 we are expanding the offer of alloy 29" frames into 6 models - VISION 29, INSTINCT 29, TRACTION 29, SPIRIT 29, SOLUTION 29 and IMPULSE 29 in 3 sizes: 17, 19 a 21". Above mentioned bikes are modifications of original AUTHOR 26" models adjusted for the 29" wheel size with specific frame geometry. Models VISION 29, INSTINCT 29, TRACTION 29 and SPIRIT 29 have alloy frame which is bow shaped and came up as an alloy replica of our27,5" MTB carbon frame. Models SOLUTION 29 and IMPULSE 29 so called LOGIC II frame with it’s own hydroformed shape (molds for top and down tube) and geometry, which is specifically tuned according to the wheel size, gender and use. For model year 2015 we are came with 1st generation of AUTHOR 27,5" carbon frame’s platform. The bend in the top section of the frame is noticeable and the top tube smoothly merges into the seat stay. Thus it resembles a shape of a bow. It does not only have a distinctive sloping and an interesting design, but it adds more rigidity to the front triangle, too. Models INTROVERT, SECTOR, REVOLT and MODUS are offered in 4 frame sizes: 16, 17.5, 19 and 20.5". Models EGOIST, VISION, INSTINCT, CONTEXT, TRACTION and SPIRIT have a new alloy frame which is bow shaped and came up as an alloy replica of our 27,5" MTB carbon frame. Models SOLUTION, IMPULSE a RIVAL have from model year 2015 new alloy, so called LOGIC II frame with it’s own hydroformed shape (molds for top and down tube) and geometry, which is specifically tuned according to the wheel size, gender and use. Models INSTINCT ASL, TRACTION ASL and PEGAS ASL go over to the 27,5" wheel size. They have the same frame as their men’s partners –INSTINCT, TRACTION and PEGAS, but they are still keeping ASL geometry. For such a frame tubes shape we had to open our own forms. The shaping of the tubes we call and name as AUTHOR HYDROFORM TECHNOLOGY. The above mentioned models are for next year completed by SOLUTION ASL and IMPULSE ASL, which belong to frame platform LOGIC II and so have a new frame with it’s own hydroformed shape (forms for top and down tube) and geometry, which is specifically tuned according to the wheel size, gender and use. Convexly bended frame top tube will remain on these models. The applied material is again the well-proven double butted alloy 6061. The above stated models of AUTHOR MTB ASL collection represent 5 models in a different component and frame’s quality. They are offered recently in 14" size, and then in 3 other frame sizes: 16, 18 and 20". 2nd generation of cross carbon frame for models – the SYNERGY and AVION got for model year 2015 new styling. AVION model will be from model year 2016 also equipped with hydraulic disc brakes. 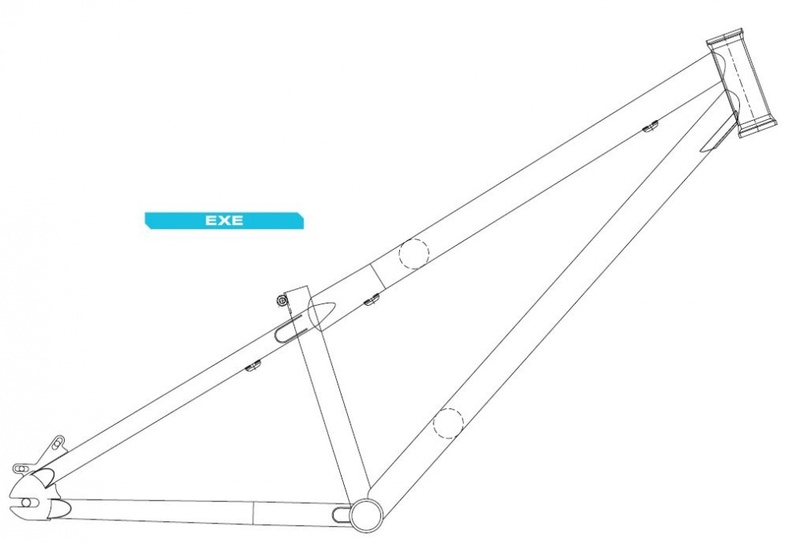 The cross carbon frame is offered in four sizes: 16, 18, 20 and 22". In model year of 2016 we'll be offering new COMFORT CROSS GEOMETRY for new frame platforms AUTHOR alloy CROSS in the RESPECT and LOGIC level. The main features of this new cross geometry are longer top tube combined with shorter stem, longer head tube and lower BB shell. The name itself indicates this is a very comfortable and entertaining geometry. RESPECT frame platform (models CODEX, AIRLINE, MISSION, GRAND, REFLEX, STRATOS, CORSA and VISTA) will have a new frame made of alloy, and a completely new design. The frame’s chain stay is equipped with the integrated interface for International Standard (IS) disc mount and kick stand. With the platform LOGIC (models CLASSIC, VERTIGO, METEOR, HORIZON, COMPACT, INTEGRA, LINEA and THEMA) this geometry is applied to the new frame, whose basic feature is the round shape of tubes. Threaded eye lets on the rear stay for carrier and mudguard stays are matter of course. Cross bikes on alloy frames use again the well-proven alloy 6061 frame’s material. That is either triple or double butted or plain gauge. 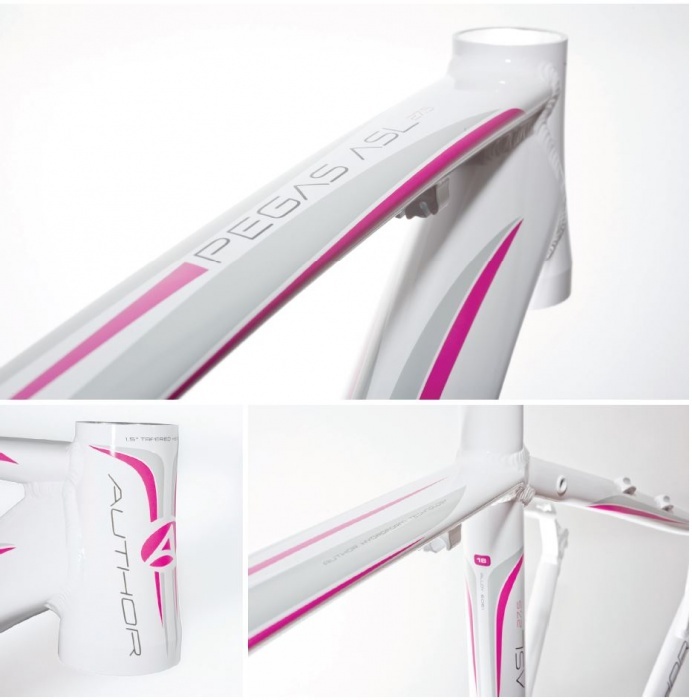 4 models CODEX ASL GRAND ASL, STRATOS ASL and HORIZON ASL created for sportsmanlike girls who are not interested in a men’s cross model, refusing to put up with a women’s cross frame. In model year of 2016 we'll be offering new COMFORT CROSS GEOMETRY for new frame platforms AUTHOR alloy CROSS in the RESPECT and LOGIC level. The main features of this new cross geometry are longer top tube combined with shorter stem, longer head tube and lower BB shell. The name itself indicates this is a very comfortable and entertaining geometry for sporty oriented women. 3 models CODEX ASL, GRAND ASL, STRATOS ASL will have a new frame made of alloy, and a completely new design. The frame’s chain stay is equipped with the integrated interface for International Standard (IS) disc mount and kick stand. For HORIZON ASL this geometry is applied to the new frame, whose basic feature is the round shape of tubes. 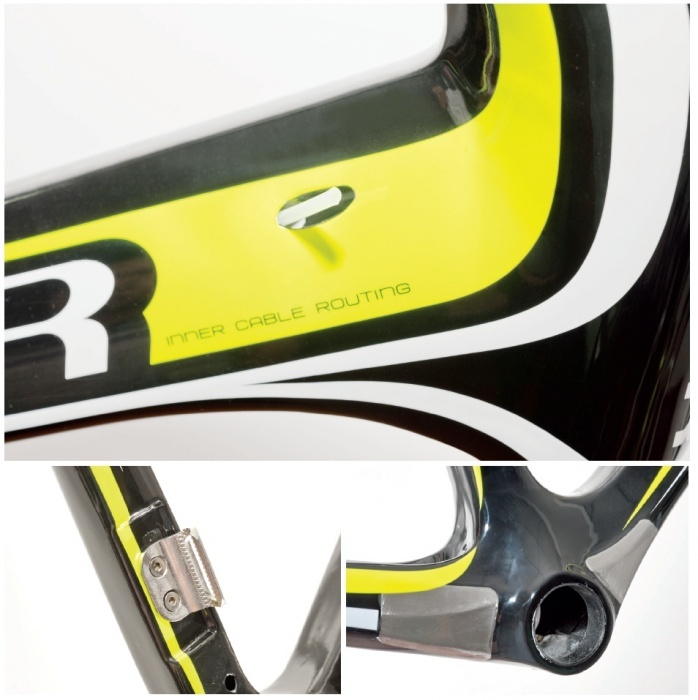 Threaded eye lets on the rear stay for carrier and mudguard stays are matter of course. 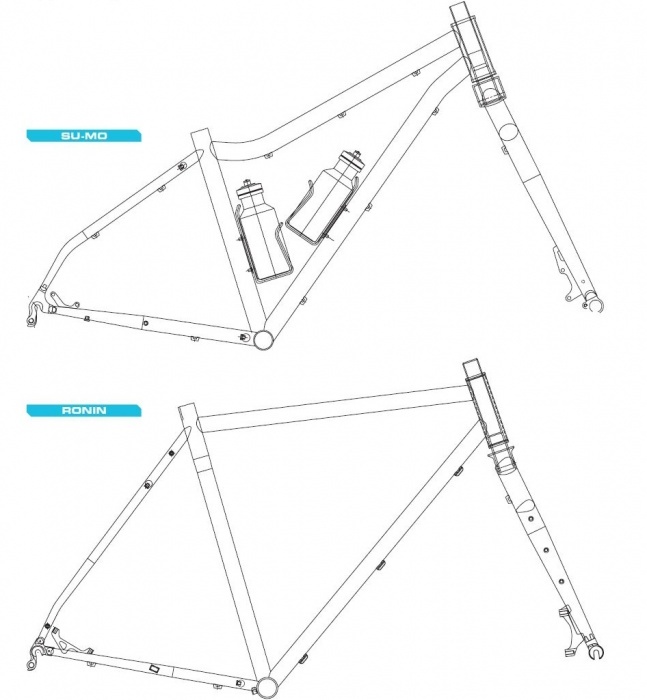 Above mentioned models have a new convexly bended frame top tube and they will be offered recently in 15" size, and then in 2 other frame sizes: 17 a 19". For 2016 we are offering the latest mountain e-bike 27.5" – model ELEVATION, based on our new original frame with comfortable geometry and symbiotic, built-in system SHIMANO STEPS. Our own design and frame concept represent an attractive profile that maintains functionality and solidness, with central position of the engine in 45° angle allowing better movement in an open terrain and distribution of total weight of the bike. The frame is of course equipped with all the design elements necessary on a mountain bike. They include first of all rear thru axle with standard 12x142, the conical head tube compatible with the 1,5" fork’s tapered steerer tube, threaded eye lets on down tube for bottle cage, and on the rear stay for carrier and mudguard stays. There is also an integrated platform to fix kick stand in the left drop out. The electrical cables routing is integrated in the front triangle, and battery is mounted using special adapter on the down tube. The bike is driven by the latest generation of SHIMANO STEPS system with LCD display and remote control of four modes and walk assist feature. The system is powered with 250 W engine weighing 3.7 kg and Li-Ion battery 2.6 kg with parameters 36 V, 11.6 Ah, 418 Wh. The core for our e-bikes as well as for other categories is a frame. We used well-proven one for couple years from touring category. We have tried to make our own design and philosophy of frames that would be not only fully functional but also interesting for its design and frame tube profiles. Thanks to our own design, we had to get new tube moulds to be opened. We call this technology as ALLOY 6061 HYDROFORM DESIGN. The men’s frame was designed especially with the concern of comfortable seating, strenght and rigidity. Women’s frame is designed with a focus on comfortable getting on the bike and seating as well. The frames are equipped with all components usual in touring bicycles - threaded eyes for a bicycle carrier and an integrated lock in the seat stay and the chain stay and threads in the frame drop outs for installation of mudguard stays. There is also a base for installation of a stand behind the bottom bracket shell. The chain stay is equipped with a plug for installation of a chain and crank set full cover guard. All frames have threaded eyes for installation of a bottle holder. 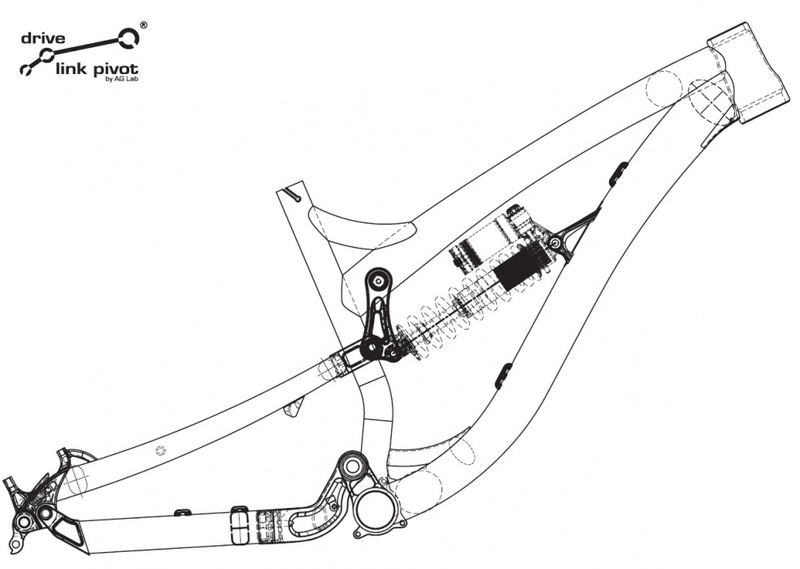 Additionally to all these touring frame details we also add the frame’s elements which are needed for e-bikes. Especially frame adjustments for electric cables routing and battery holder. That means frame cables entry and exit and also special seat tube cover for hiding them. For our e-bike electric support we’ve decided to use Japanese brand SR Suntour. For model year 2015 this system has gotten many new upgrades in many ways. Especially there is ultraprecise torque moment sensor’s sensing which is actually also the name of this new technology ATS = Active Torque Sensor. 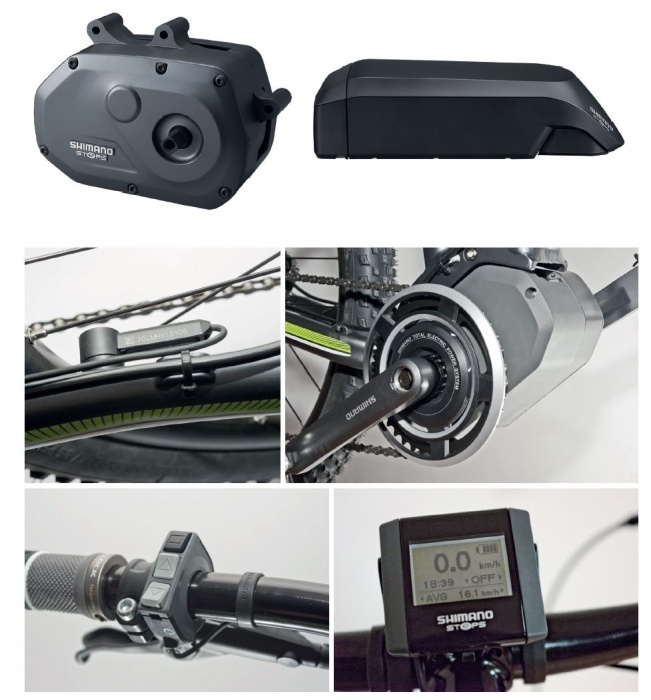 New is also infrared (accurate) signal transfered to the controller and motor with the freewheel function inside (no friction) as well as display with remote switch box and Walk assist button. System is powered by 250W, 36V engine, LCD display and 36V, 290WH/ 8,0Ah Li-ion Sanyo battery.